With all the snow days that we've been having in Atlanta I've actually had time to sew! In fact, I've sewn so much that I feel like I have to spread it over a few posts lest I blow my .... well, you know. 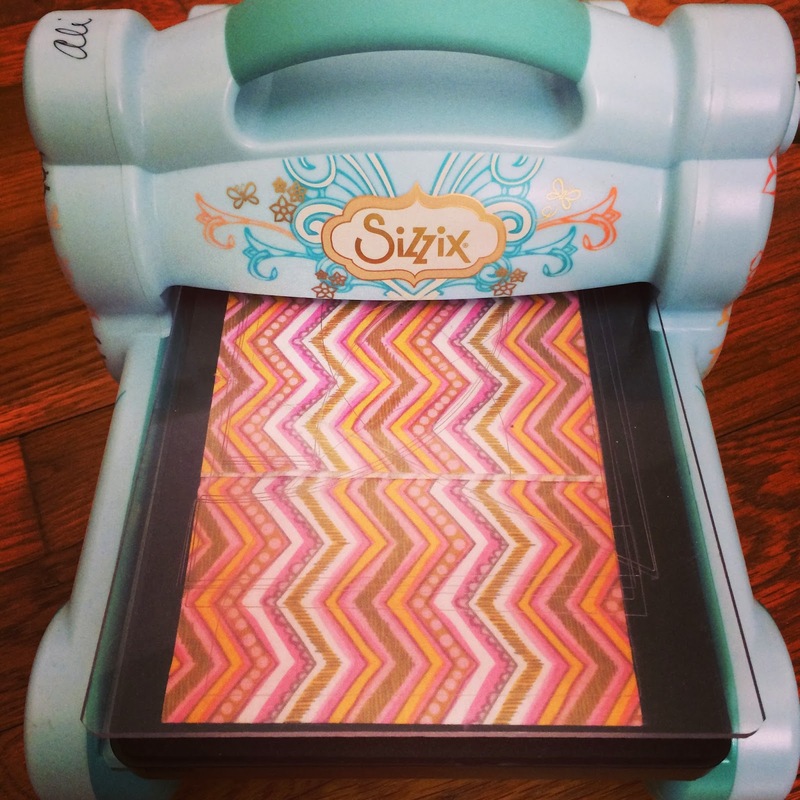 Let's talk about Blend for a second, shall we? They are local, which is awesome. And have quite a few cute lines of fabric. So when I asked if I could play with some upcoming collections and they said yes I was blown away (wait for it...). This collection - Blown Away - has just started shipping this month. It's very sweet and I adore the rainy cloud print (on the bottom)! Quilt measures 36" x 44"
I made this using my Sizzix Big Shot Drunkard's Path dies (this and this). I trimmed the blocks down to be 4" unfinished - 3.5" finished. The method is the same as I used for my clamshells. 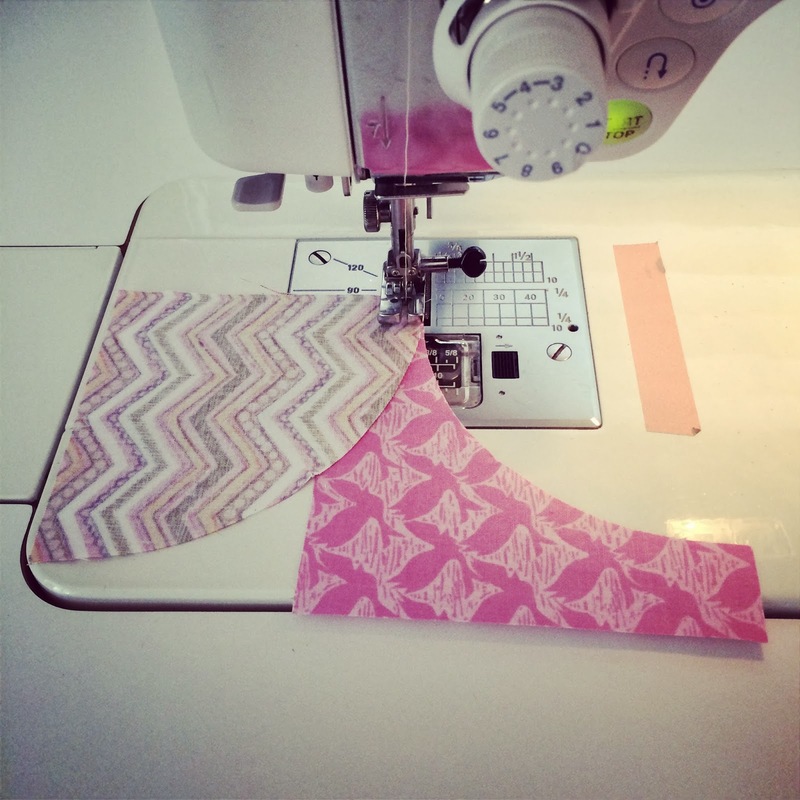 I also documented my curved piecing trials on Instagram (head over there for videos). These aren't the fanciest directions, but here are the pieces I used to make this baby quilt. Unfortuantely none of my friends are having baby girls at the moment. So I am passing this quilt onto one of you. There are 2 ways to enter (and you can do both!). 1. Sign up for my email list (scroll down). I'll use this to notify you about giveaways or other really cool stuff. Not boring everyday stuff. 2. Find me on IG and repost the photo (directions are over there!). Contest is open around the world, but if an international person wins I will ask them to cover the additional mailing charges (about $11 to Europe). Entries close Feb. 20 and the winner will be announced Feb. 21. Tell me: From my book, what project are you most excited about / which is your favorite? 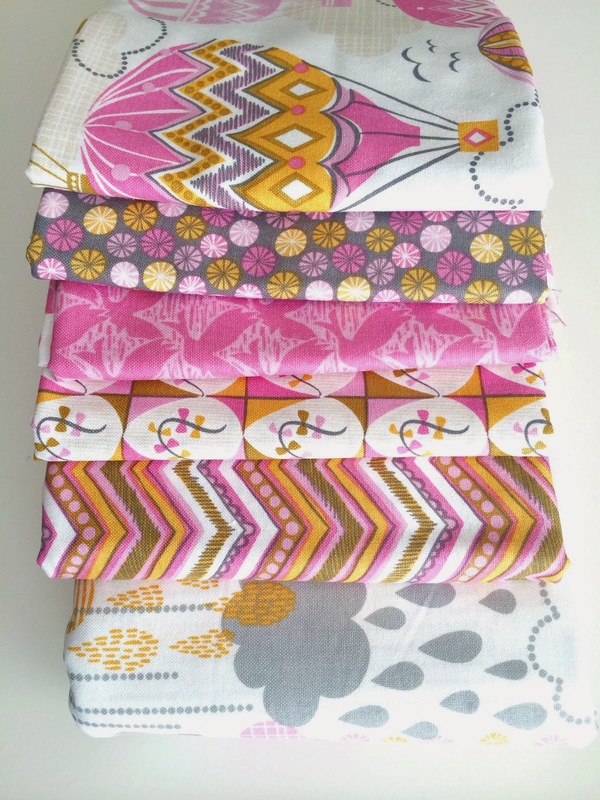 And what fabric from Westwood Acres would you use to make it? Sign up for fun updates! Same as you, I have little girl to give a quilt to. However, I have added your giveaway to the weekly link up on my blog. That should have been . . . I have 'no' little girl to give a quilt to. Thank you! I have a friend who is having twin girls. I'm a new subscriber. I signed up for your email list and guess what I have a grandbaby that happens to be a girl! Love the quilt and I have a little girl! I don't have IG, but I do get your e-mails. This would be a win win for me, I have 4 new granddaughters and I am behind on quilting, with getting 7 new grandkids in 5 yrs..... I have only been quilting 5 years. I can see the texture of the fabric in the photo and really see the inspiration and its modern sweetness. also please Stop by my blog and share a love story and read others.. Happy Valentines.. I am a new follower in all forms. Good luck with the future.. So pretty! It looks like all that snow was good for you! I followed you on Instagram but have only been on there for about a month and have no idea how to repost something. I just cant work it out! I signed up for you're newsletter! My niece has just had a baby girl - Isabella! I am on the mail list for the newsletter. My nephew's wife is have a baby in May, we are hoping for a girl. 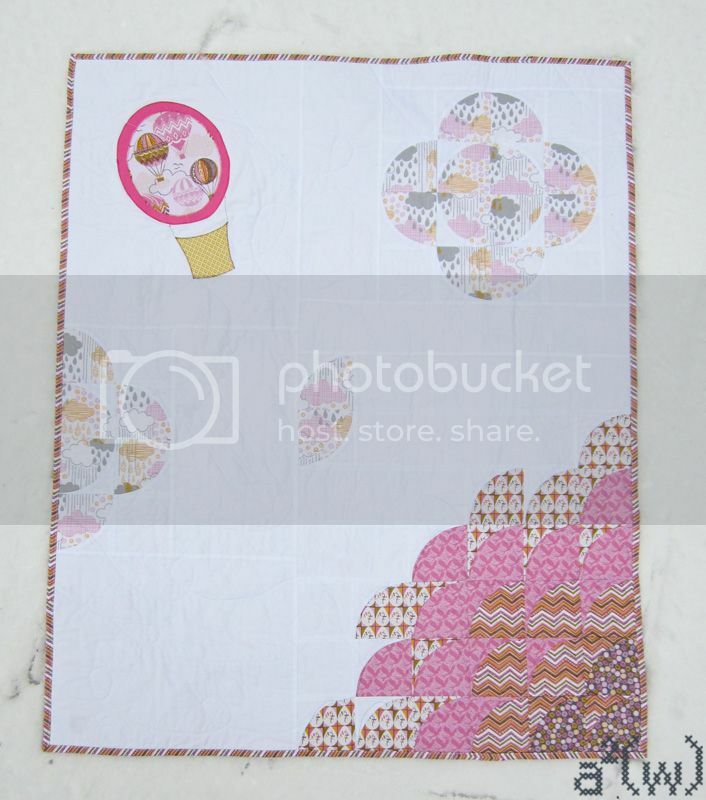 What a delightful, whimsical, sweet quilt! Your design is awesome. My niece is expecting a baby girl and I would love to give this to her! I just signed up for your newsletter. Thanks for your inspiring blog! What an absolutely darling quilt! I've signed up for your newsletter. Thanks for the wonderful giveaway! I have a new niece who would be perfect for this quilt. 2 months old now. Beautiful work and design. I just signed up. 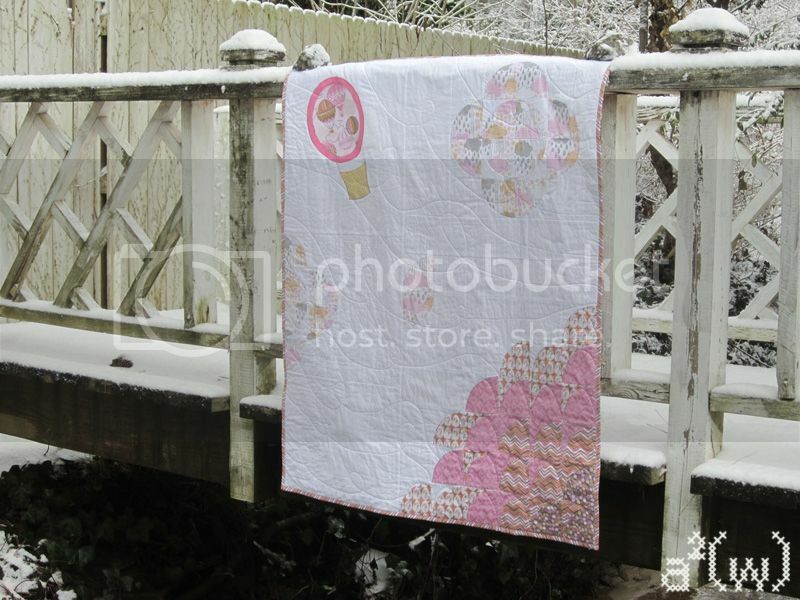 I adore this quilt and was surprised to see you are giving it away. I have my fingers crossed. I have three girls. The oldest just turned 11 on the 6th and my youngest is two weeks old. We will have a great story to tell about her birth as we are near VA Beach and we had a snow strom come in and dump snow on us. We drove on snowy roads to get to hospital and no one was out because of snow. We are from Michigan but currently stationed at Norfolk, a few inches of snow is nothing to us. Shuttermom77 (at) gmail (dot) com subscribed to emails. Sorry, to ramble on. I haven't been out and about yet. State of Matter is one I loooove most...but would do Calculous for Daughter & her Hubby...they are HS teachers that teach Math & Biology!! LOL Cooool surprise for them!